We know we forgot to label the “flour”… we are human, we make mistakes and that is why there is a written recipe too! 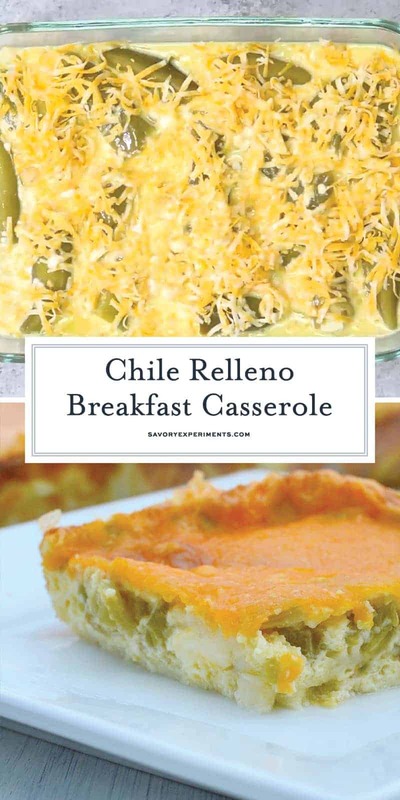 My favorite breakfast recipe EVER: Chile Relleno Casserole. This beloved recipe has received a lot of feedback, good and bad, read below to see why! 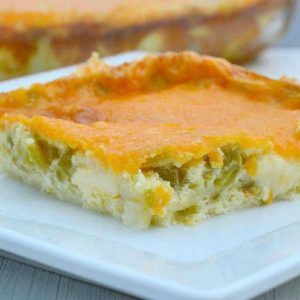 Chile Relleno Breakfast Casserole is a morning casserole with eggs, two types of cheese, and mild green chiles. 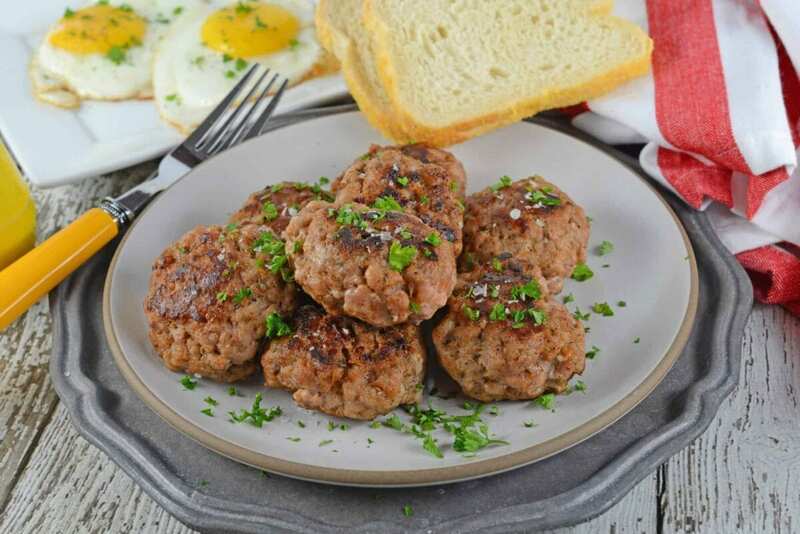 A perfect breakfast recipe for feeding a crowd! Chile Relleno Breakfast Casserole is a family, neighbor, and Pinterest favorite! Well, for the majority of folks. Don’t forget to PIN Chile Relleno Casserole HERE! Chile Relleno Casserole uses two pounds of cheese, yes TWO! 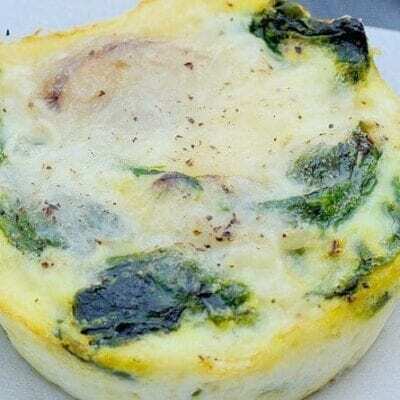 It is super cheesy, but bakes nicely into the egg to add flavor and texture rather than being stringy or overindulgent. If you still think it is too much cheese, then reduce it to one pound. I guarantee you’ll miss the missing cheese. The cheese is really what makes this casserole. And the chile… LOL.Now a lot of folks have commented here and Facebook that two pounds of cheese is just TOO much cheese. I promise you, it is not. When it is all baked up you won’t even get super cheesy pieces. Not any more than other breakfast casseroles, at least. I try to make Chile Relleno Casserole only when we have guests in town due to the copious amounts of cheese. Only because despite my defense on oodles of cheese, I do try to eat fairly healthy on a regular basis and only allow dishes like this on special occassions. Is there really such a thing? And if you actually make the recipe, you’ll see that although it is one heck of cheesy recipe, you hardly notice when you are eating it. Make ahead breakfast casseroles are perfect for feeding large groups. The chile is mild enough to not be spicy and it also vegetarian-friendly. (NOT vegan, many vegetarians are lacto-ovo). In some areas you can even buy mild or hot chiles to your preference. And if you are a carnivore, you can easily have some meat on the side. Candied Bacon and Homemade Breakfast Sausage are good bets. Even just heat up some ham. You can even add cooked, crumbled breakfast sausage, ground beef or bacon right into your Chile Relleno Casserole. Shredded chicken also works nicely. Many of our readers have tried and loved these variations! 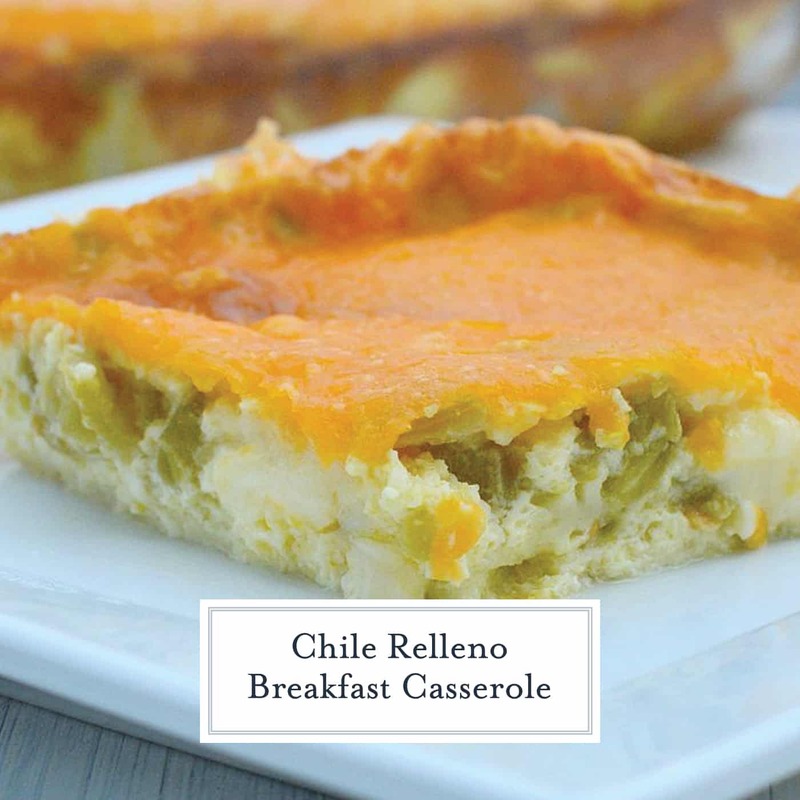 We are very aware that this delicious breakfast casserole recipe is NOT a real chile relleno. And that chile rellenos are battered and fried. We get it. in Denver, Colorado and claimed to be from an authentic Mexican family. Past that, I can’t authenticate it. And I’ve never claimed it to be an authentic Mexican recipe. So before you throw stones, I didn’t name it either. All I know is that this make ahead breakfast casserole is delicious! And if you try it, you’ll probably agree. And the last bashing it gets is if it is a chile relleno or chili relleno. Geez, the “i” or the “e”. Well, my friend who is an editor claims that the chile pepper is indeed with an “e” and the soup is with an “i”. Call it a chili Relleno Casserole if you’d like. It still tastes the same! The original recipe for Chile Relleno Casserole calls for whole green chiles, however, these seem to be more and more difficult to find. You can substitute those for three 4.5-ounce cans of chopped green chiles. Be sure to drain well and dry on a paper towel to reduce moisture. You can also use fresh chiles, if they are in season or your grocer carries them. I use a mild chile, but you can, of course, also pick a hot variety. Instead of using “fingers of cheese” to stuff the chiles, chop the cheese into 2-inch cubes. If I am feeding more than 12, I will add a few more eggs. No additional measurement changes are necessary. And the last most asked question for my Chile Relleno Casserole: Can you freeze chile relleno casserole or make it ahead of time? The answers are yes and yes. You can make Chile Relleno Casserole the night before you intend to bake it. It might take a few more minutes in the oven to come to temperture seeing that it will be chilled instead of room temperature. Use your best judgment. If you freeze this casserole, cook it, then freeze it in small batches with as little air as possible. Wrap in aluminum foil or freezer paper, then in an airtight bag. It should be good for up to 3 months. – Never underestimate the importance of freshly shredded cheese! Can I omit the flour? You can omit the flour, it helps the eggs stay a little fluffier, but isn’t necessary for the recipe to be successful. What type of chile can I use? Many folks have successfully made this recipe with many varieties of chiles, so the answer is ANY! I like to use mild green chile or roasted Hatch chile. Others have used poblano, although they tend to have a thicker skin so are better when charred and skinned, jalapenos and even ghost peppers. Can I reduce the amount of cheese? I agree, it seems like a lot of cheese, but I can promise you that after it bakes, it won’t be a steaming dish of melted cheese (although I wouldn’t be opposed to that). Read a few of the comments and the cheese, they have vouched for me. That said, if you want to reduce the cheese, be my guest! 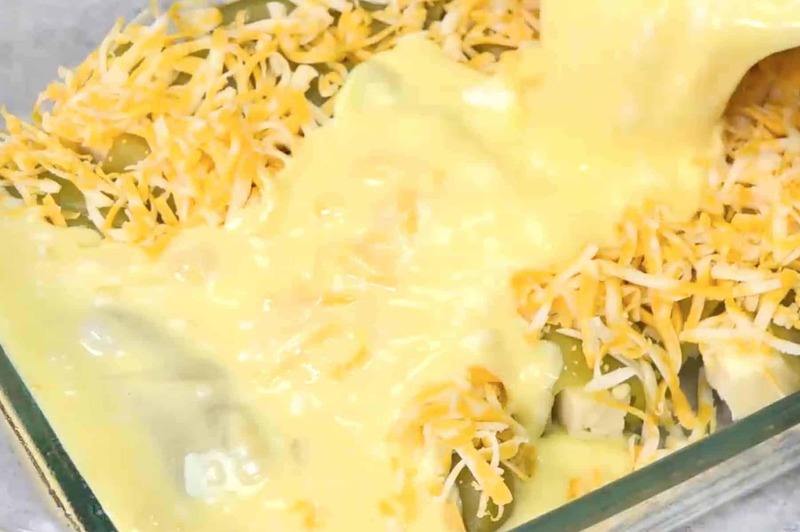 What types of cheese can use in this chile relleno casserole? I use pepper jack, cheddar and colby cheeses, but you can use whatever mix you’d like. Cheddar pepper jack. 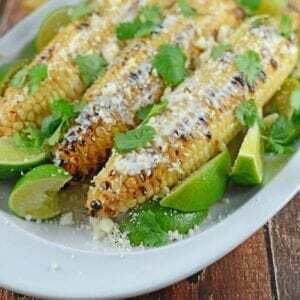 jalapeno cheese, white cheddar, cotija, queso fresco or any combination of them is alright by me! PRO TIP: Use freshly shredded cheese. Pre shredded cheese is great for so many things, but it lightly coated with a powdered starch to keep it from clumping. This can impact its meltability factor. Can I add meat to this breakfast casserole? 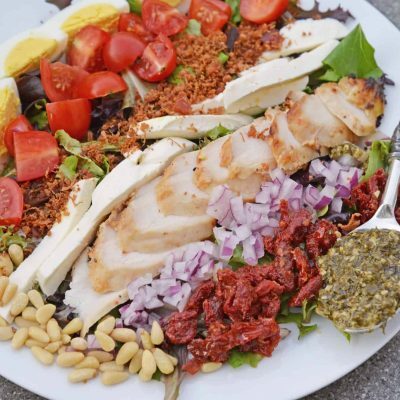 You are more than welcome to add a protein! The only key is to make sure it is cooked and drained before you add it. Bacon, sausage and ham seem to be the most popular. Why do you add ground mustard? It just adds a little but of flavor. You can also use a dab of Dijon mustard or even yellow mustard. That little bit of acid will elevate the dish. You can certainly omit it if you like or don’t have it on hand. Can I freeze chile relleno casserole? You sure can! Make sure to package it correctly for the freezer and it will store for 3-4 months. 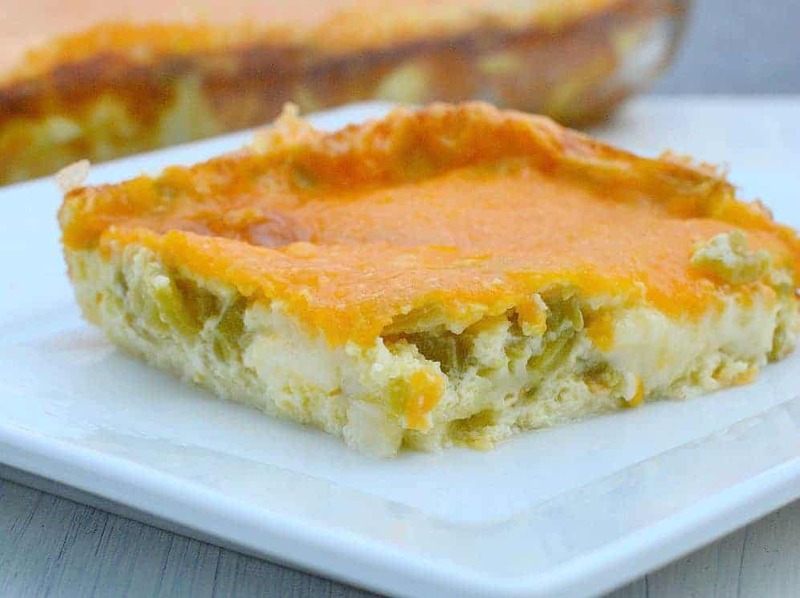 Can I make this chile relleno casserole into egg muffins? You sure can. Shred all of the cheese and used diced chiles instead of whole. Bake in a muffin tin on 350 for 12-15 minutes, or until the centers bounce back easily. Is chile relleno casserole gluten free? If you omit the flour, it is gluten free. I am not a registered nutritionist or expert, this is just my basic understanding. Is chile relleno keto friendly? If you omit the flour, it is keto. I am not a registered nutritionist or expert, this is just my basic understanding. What do I serve with chile relleno casserole? I like to serve a bright and colorful fruit salad, crispy home fries or even scones. Chile Relleno Breakfast Casserole is a cheese filled, Mexican style breakfast casserole. Perfect for feeding a crowd and special occasions. Preheat oven to 350 degrees and spray a large rectangular glass baking dish (9×13) with cooking spray. Open and drain each can of chiles. Stuff each chili with finger sized pieces of monterey jack cheese and arrange in the bottom of the baking dish. Sprinkle 1 ½ cups of shredded cheddar colby jack over chiles. In a separate medium size mixing bowl combine eggs, flour, milk, salt, and dry powdered mustard and whisk until most of the clumps are gone (some may remain). Bake uncovered for 40 minutes. 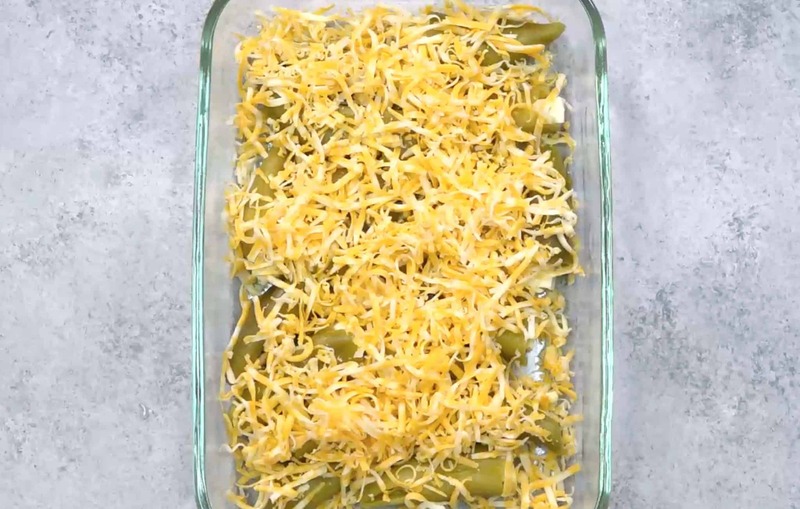 Add remaining cheese to the top of the casserole and return to 350F degree oven for an additional 5 minutes or until firm. If you've tried this recipe, we want to hear about it! Come back and leave us a comment or rating! If you prefer to use cream of tarter to fluff up the eggs instead of flour, use 1 teaspoon. Flour can be omitted, if you are looking for gluten-free. Thank you for the feedback! I am sure chorizo is fantastic in it! Yum, I cant wait to make!!! This was absolutely fabulous . Everyone loved it . I used canned HATCH chilies , used 6 eggs rather than five, and increased the flour and milk by a Tablespoon . I love this recipe! It is great for any meal. I also like that I can reduce it down to 2 servings. GLad you love it, Joy! Super easy. Very yummy. One of my hubbies favorites. Thank you for stopping by to let us know! Deliscious! I used almond flour and gypsey peppers as I couldn’t find chili peppers. It was very mild and quite tasty! Fabulous! Thank you for stopping by to let us know! It is both of those things! Thank God—there really are others out there like me..! Hi Patty! Wow- I didn’t realize anyone was actually reading about me. Ha! Yes, I LOVE my butter, I LOVE my salt and I LOVE my carbs! Thank you for stopping by and leaving a note and I’ll see ya around, make sure to follow along on social media! Patty- I couldn’t agree with your more (eating it for every meal)! Enjoy! I’m all about a recipe that calls for 2lbs of cheese and yes it IS required in this dish. We love chile rellenos but I always wind up with a greasy, soggy mess. I let the top brown a little and get crispy, mmmm. This is a perfect deconstructed chile relleno recipe! We love this casserole! Sometimes to make it more hearty for dinner I add a layer of tortilla chips on the bottom and sprinkle some cheese over it before adding the chilies and eggs. 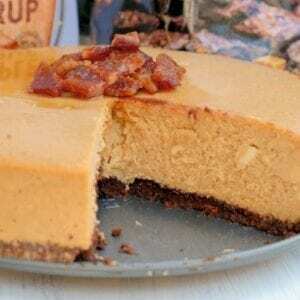 It bakes up into a yummy corny crust. So good!! Tortilla chips are a great addition! I am going to try that next time. Thank YOU for stopping by to let us know how much you love it. This has become my Christmas morning tradition. I prepare it the night before and on Christmas morning I pop it in the oven and bake it while presents are being opened. No need to fuse over the a stovetop. Simple, delicious and I enjoy the morning without a major clean up. Thank you so much for the recipe. And thank YOU for stopping by to let us know! It is one of our favorites as well. Merry Christmas! I don’t care what anyone says. There are 3 things my mother always said you can’thave enough of; cheese, bacon and garlic. And while I love this recipe, l still make homemade chili relleno. Hi Martha, 2 cans is about 5-6 chiles, probably increase other ingredients by 1/3. Honestly, I wouldn’t even mess with the flour and milk. Just add 2-3 more eggs. It is hard to hurt this recipe! This sounds delicious! What is the mustard for? Can some thing be exchanged for it? Hi Sherry! Just for flavor. The recipe has always been that way ever since I inherited. You can just omit or add a dab of yellow or Dijon mustard. This recipe always gets raves for our annual breakfast buffet. It is perfect And is always a big hit! Thanks for stopping by to let us know! We love it too! I’d like to add some healthy fruit to go along with this wonderful dish! Have you tried to make this in a crock pot? If so about how long would you think cooking time would be? I have not made it in a crockpot simply because it takes less time in the oven. I would suggest 5 hours on low to start, but since I’ve never done it, I can’t be sure. If you do try it, come back and let us know how it went! This has become a family and friend favorite that’s often requested. Easy to make and delicious to eat day or night. Yay! That is what I love to hear! You are a saint to respond to some of these questions and comments! This is not rocket science, it’s a great recipe that does not have to be followed “exactly”.. you can add or take away ingredients.. geesh.. Thank you , Jen! I’m glad you enjoyed it as much as we do. In fact, I’m making it later this week and literally thinking about it every morning with my “healthy” breakfast. LOL. So good and thank you for taking the time to stop by and drop a note. I’m a real person over here and love to hear feedback! So darn good! We made this at our cabin over a long weekend with friends. Everyone requests it now. Yay!!!! That is what I like to hear!!!! 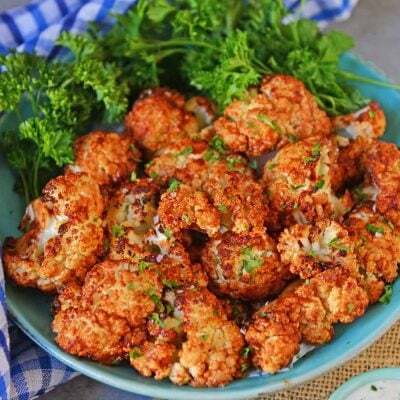 Love the recipe; what modifications would baking in the air fryer require? Hi Caryl, That is a GREAT question! I’ve never used an Air Fryer, so I am not quite sure. Let me ask around and get back to you. How do I roast and skin the fresh Chile’s? Quarter peppers lengthwise, discarding stems, seeds, and ribs. Put peppers, skin sides up, on rack of a broiler pan, rub with a little vegetable oil and broil about 2 inches from heat until skins are blistered and charred, 8 to 12 minutes. Transfer peppers to an airtight plastic bag seal. Allow to steam for 10 minutes. Remove and skins should come off easily! I got such a kick out of reading folks comments! Just try the recipe. It’s hard to go wrong with this casserole so just wing it if you don’t understand completely. Can’t go wrong with eggs and cheese! I’ve made something very similar with a layer of tomato sauce. Kind of tasted like pizza. Definitely going to try this now. You make deliciousness so easy!! Thank you! I live alone, but was raised on chilli rellinos. Not many recipes have them just stuffed with cheese. Now am trying to stay away from fried foods.. Is it possible to cut the recipe in half? Thanks so much. You can surely cut it in half or freeze part of it! How many does this casserole serve? Hi Marissa! It really depends on how big of a slice. I would say 6-8 to be conservative, but you might have leftovers. You can also just add more eggs to feed more. The cooking time will increase. Just keep an eye on it. Greetings…..lucky enough to live where green chile is abundant! I have made this before and it’s delish…I have also stepped it up a notch with a small amount enchilada sauce that is made in our town and wowza! Out of curiosity what do you serve with this? Hi Deb! That sounds super tasty! I usually just serve it alone or with home fries. Generally people go back for seconds (or thirds) so it is a pretty filling meal on its own! With downcast eyes, I have to admit I didn’t read all the comments to see if anhone had responded to thfe comment about the availability of canned whole green chiles. I have ordered 27-oz. cans of Hatch green Chile’s from walmart.com. They were whole (no holes or tears), skinned, and seeded. Good flavor. Some people can find them and others can’t- you can use either! I prefer the whole green chiles myself. Did you enjoy the recipe? How many carbs are in a serving? Since I don’t have a reliable way to measure nutritional value, I don’t provide that content. I don’t want to lead anyone with dietary restrictions incorrectly. You can use a tool like MyFitnessPal to calculate them on your own. I`m a Green Chili FREAK!! This recipe looks awesome. I would suggest to everyone to learn how to roast and peel fresh green chili`s for this and all other recipe`s using green chili`s. Especially if you like the flavor of hotter ones that you get from canned. Once you get the hang of it, the peel will come off quite easily. I leave a few seeds in them also when I scrape them out. That`s where most of the heat(spicy) comes from. ALSO If you can’t find them in your area you can usually find them fresh frozen in the freezer department of your market…It comes under the name of Bueno. These are hatch green chilies…..Just as good as fresh roasted and canned cannot even compare. One problem though with these is that they are chopped. But don’t see WHY they could not be used in a pinch where whole ones are unavailable….YUMMM GREEN CHILIES!!!!!! Oh my goodness…. I can’t understand why so many people are having trouble understanding the recipie… It was very easy to follow so, thank you! Mine is in the oven right now so…. I’ll be back to tell you how it turned out! Hi Terri! I hope you enjoy it as much as we do! I’m making one this weekend! You forgot half the ingredients in the instructions so mine didn’t turn out as good. Make sure you pay closer attention to detail thank you. I can assure you, all the ingredients are in the written recipe. I don’t include amounts in the videos. Yay!!! I love hearing that! We love it at our house too, clearly, LOL. Yeah I agree. When does one incorporate the flour into the recipe? And the milk? And the salt? I would think during step 4. Hi there, step #4 states: “In a separate medium sized bowl combine eggs THROUGH mustard and whisk until most of the clumps are gone (some may remain).” This includes flour, milk and salt in the ingredient list. I have made this recipe now a few times and LOVE it. Thanks for taking the time to write it out and make video. Some notes: I use coconut flour (it’s lower carb) and we like the subtle taste. Also, I figured out to slice the Jack kinda diagonally instead of strips to fit down into the chiles better – EUREKA! Thank YOU Michael! It is one of our family favorites too- I’m making it for Easter brunch and already SUPER excited! Wow…my wife and I are going to make this today. After reading through the comments I am coming to realize that some people just don’t listen and aren’t capable of following instructions. Apparently many people that are having trouble with the instructions aren’t intelligent enough to put down their phone, get on their computer and come to the site. SMH Great thing technology is…makes people lazier. Rant over. In regards to the dish….many thanks for this recipe! It looks amazing and I cannot wait to taste it! Sounds yummy to me. A carnivore could add meat if desired. Is there a substitute for flour if you want to go gluten free? Also, could this be made ahead of time and put in the fridge intil time to bake? Michelle, you can just omit the flour. It just makes the eggs fluffier. You can make it ahead and bake when ready. Want a copy of recipe. You can easily print it out using the “print” button or save it to your Pinterest boards. If I use metal pan instead of glass is baking time the same? Should be, but I haven’t tried it. Curious about the dry mustard. I don’t have any at the moment, and would like to make this dish. Anyway you can use a small squeeze of regular mustard instead? I’m assuming this is a flavor component. I’ve done this before, and it works fine. 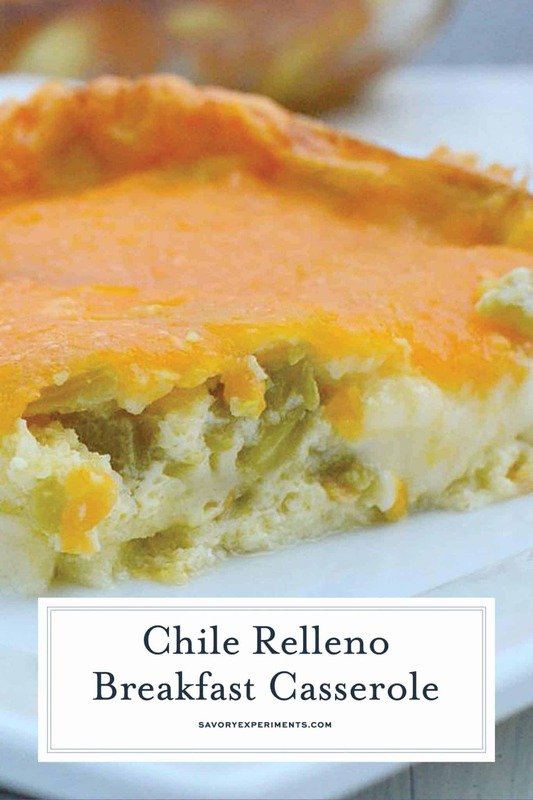 Please send me the full recipe for the Chile Rellano Breakfast Casserole, i need the amounts of each ingredient. Thank you. The recipe is found in full and with the option to print on the sane webpage you are commenting on. Your video recipe is awesome but the directions below leave off several ingredients that are listed. Flour, salt. Milk isn’t even listed as an ingredient. For those of us who can still read will you please read through the directions and make the necessary corrections please? Correction to the above: Milk is in fact listed but is also not mentioned in Step 4. I hadn’t watched thw video before attempting this recipe and it was very confusing. I just read through the directions several times and they are correct… “for those of us who can read”. The only listed ingredient missing is the name of “flour” which was noted right above the video as our mistake, but unfortunately noticed after everything went live and was not able to edit. We are human and thus make mistakes. Milk is listed and in the video. The video is a visual tool- please utilize the written recipe. That is, in fact, correct. I beg to differ. I read and re-read the recipe several times. While the milk and salt are in the list of ingredients, they are not in the instructions. Step #3 reads “In a separate medium sized bowl combine eggs through mustard and whisk until most of the clumps are gone (some may remain)” which includes milk and salt on the list. Deede, are you on a cell phone or are you accessing it from Yummly? When I got to it directly, I am able to see it, but so many people are having problems, I’m thinking I need to drill down a little more. The eggs through mustard did throw me off at first but I got it. Can I put this together the night before , then cook it in the morning? Thank you for sharing recipes! It takes time and a lot of effort! Making this EASY recipe tonight and so excited!!! Hi! This looks absolutely amazing! I’m curious if you have ever tried adding a protein to this casserole? The males in my house appreciate more bulk with their breakfast. Hi Michaela! Sure! Add ground beef, sausage or shredded chicken! Cheese has protein as well. Can canned evaporated milk be used instead of milk? I haven’t tried it, but I’m sure it would work. Let me know how it turns out if you do! Thank you for this recipe , I will be trying this recipe this weekend ? I brown up hamburger, ground turkey or breakfast sausage and add it at before I put the egg mixture. I also like to use canned Ortega chillies. Anyway you fill it, it’s awesome! Could this be made, up to adding the cheese, and frozen? Then thaw, add cheese and bake. Have a TINY kitchen in the RV so would be easier to make it at home and take along to bake. Hi Kimm! Sorry for the delay, we have been traveling. Yes, you could very easily do that. Or even bake the whole thing, then just add the cheese on top and thaw. Will flesh roasted Pueblo peppers work I just put up 10 bushels in the freezer? Very delicious. It’s already a family favorite. Thank you for sharing. What size cans? How many ounces? 2 14.5 ounce, the amount in each can varies, but really the quantity isn’t necessary, whether it is 8 or14, it will still turn out fabulous! How many fresh peppers do you use and what size baking dish ? 9×13 size baking dish, anywhere from 8-12 chiles. Have you ever used canned chills. I have made this for many years, but have always used chopped green canned chili peppers. If you used the chopped Chillis, what do you do with the sliced Colby cheese since you do not stuff the peppers. Hi Lori, just shred it and mix it in with the rest. Fresh roasted green chiles is best. Canned chokes cannot even compare. Hi Patricia, I do not calculate nutritional info because I do not have a reliable way to do so and I don’t want to steer anyone wrong, especially if they have food allergies. You can plug the recipe into a nutritional calculator online to get an estimate. What kinds of green chilies r these and do u boil them first? They are canned green chiles and no boiling required. You can probably use poblanos or Anaheim chilies, which I think are the same thing. They are mild and fairly inexpensive. Readily available in the produce section of most grocery stores. Roast them in the oven to on a gas stove burner until the skin is charred and black. Remove skin and seeds and proceed. Appears they are canned green chilies which do not need to be cooked. Canned green chiles do not, but if you are using fresh, roasted and skin them first. I’m on a low carb/keto diet and this looks right up my alley. What could be substituted for the flour? I know almond flour and coconut flour don’t match up the same as normal flour. Any suggestions on substitutes and the amount that should be used? Hi Karen! You can actually just omit the flour all together if you want. It is really just a trick to make the eggs fluffier, but won’t directly impact the taste of the recipe, just won’t be as tall. You can add in a few more eggs to get the height though! This is recipe is really hard to mess up, nearly any variation will still work. for fluffier eggs you can use Tartar instead of flour it makes the eggs fluffier than flour. How much cream of tartar do you think is needed? About 1 teaspoon if you want to use cream of tartar instead of flour. 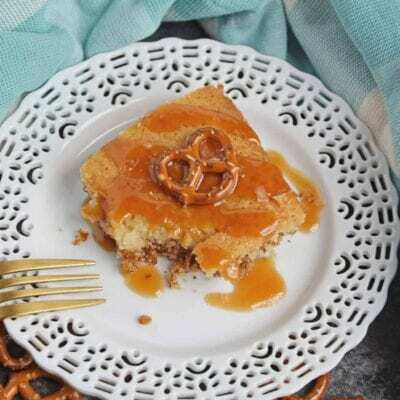 It is listed in the “notes” section of the printable recipe. I make this with only 1/2 the cheese, still delicious. No one seems to miss the additional cheese. Fabulous! I’m gald you enjoyed it! I just made this. Don’t forget to add the flour with the egg mixture, since it does not say this in the directions. Hi Elaine! I hope you liked! The video did forget to mention the “mystery ingredient”- flour, but the written instructions say “eggs through mustard” which includes the flour- hopefully people caught that, but I’ll make it more clear. Thanks for your support! The ingredients state salt, flour and milk, the directions do not! Hi Patti- scroll up past the other “chile” recipes and it is right there. Kinda in the middle. About halfway through this page is the printable recipe. My guys would absolutely love this! Sounds amazing! I love Chile Rellenos. This sounds like a great recipe. I’ve pinned it to make soon for breakfast! Thanks for the recipe. 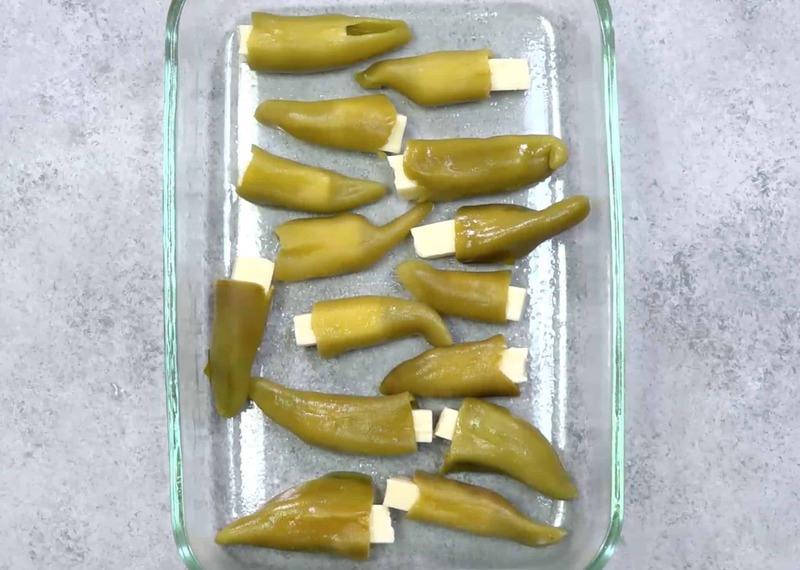 I love the flavor of green chile so this recipe is a must try for me. Pinning. I love all this cheese delight! Love a savory hot breakfast! I know this yummy dish will keep me going for hours! What a delicious and fun family-friendly breakfast casserole to serve for Mother’s Day or Sunday brunch throughout the year! This tasty combo reminds me of my mother. She often ordered Chile Rellenos. I don’t think she ever made them. I thinks I’ll give this a try. I do love green chilies, eggs and cheese! What a fabulous idea for breakfast, I adore this recipe!! That is a GREAT idea!!!! Yummy! Now this is the sort of breakfast I would love to wake up to. This is my kind of brunch item, savory and cheesy. Looks so good. All that cheese makes this a low carb dish, right? My son would love this! That looks fantastic! Will definitely try this one. Even though I’m not a fan of eggs… you sold me with the cheese! This looks and sounds delicious. I can’t wait to make it and give it a try. That looks so good. What a tasty way to start your day. This looks yummy! I love breakfast casseroles. This looks amazing. I must try this recipe! I can’t even tell you how excited I am to find this recipe! I adore green chiles! This looks awesome! I printed this recipe to try at home. Looks perfect for weekend mornings! Thanks for sharing! Yum! Breakfast casseroles are the best, and all. That. Cheese! This looks so good! I love a good breakfast casserole, with a kick! I’ve never made a casserole for breakfast, but it looks great. I should give it a try! 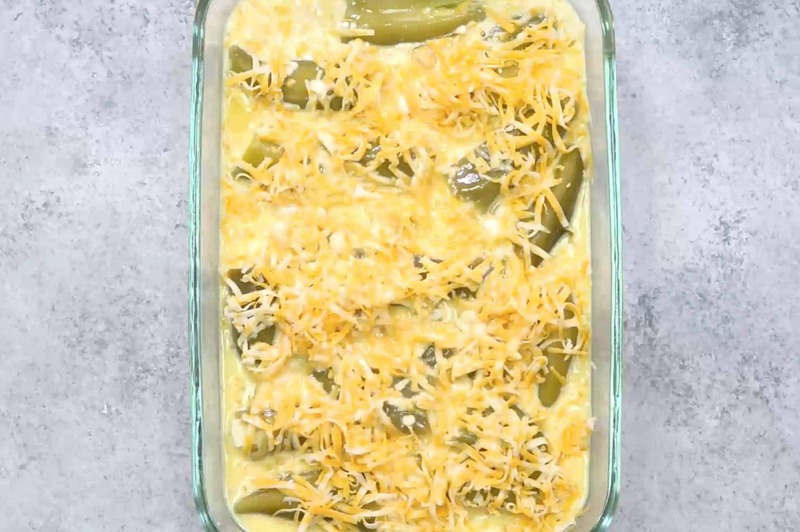 Oh a casserole with chilies and cheese… right up my alley! Thanks for sharing! That looks so good! It is like an inside-out Relleno! I will have to try this one! Oh goodness me this looks delicious! I will have to see about making this! Cheese! Yum! This looks so good! I would def try this! Hubby’s got a big golf tournament on Sunday. This would be a great treat for him to send him on his way! Your recipe looks so good! My husband loves chiles, I’m going to have to try this! I can deal with that much cheese. Sounds so tasty. Oh that sounds so yummy! I love chiles!! I rely on those chopped green chilies a lot now too. The cheesy goodness of this is killer! This breakfast casserole looks delicious! I’m kind of picky about breakfast, but I know I would enjoy this! I only have two bags of for she green chiles left until the Hatch chiles are back in season. One of those have to be used to make this! Sounds awesome! I am from New Mexico and I love Hatch chile. I bring it when I visit. You can get it at some Walmarts, not all I am trying to have walmart in San Diego to have it. There are many people that would love it and Walmart would make a fortune. This looks amazingly delicious! I can’t wait to make it for my family. 2 pounds of cheese or not, I’m totally in to it! I need more breakfast casserole ideas. I never would have thought to eat chile relleno first thing in the morning, but it sounds good! I love stuff like this for breakfast. It always fills me up on those mornings when I workout! YUM! Delish casserole…perfect for breakfast! This sounds delicious! What a great way to start the morning. That is a TON of cheese! My husband would go for this. He’s always ordering the chile rellenos at restaurants!